G-Shock Japan added three new DW-5600 models to the March 2017 lineup: the white DW-5600CU-7JF, yellow DW-5600CU-9JF, and black DW-5600LCU-1JF. 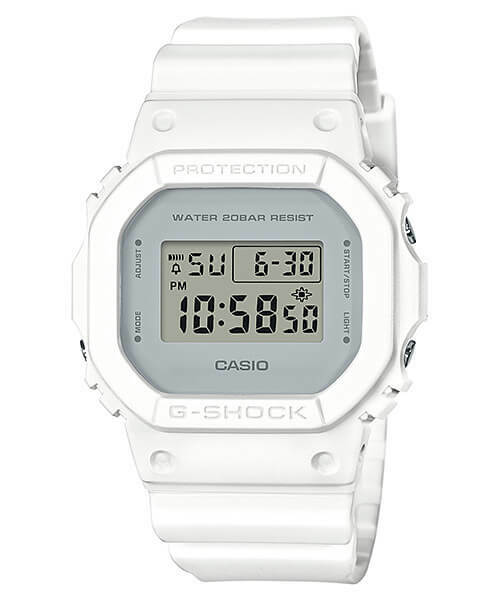 These models use the classic DW-5600 as the base that brings to mind the original G-Shock. They are available in clean military colors with single-color bezels and bands with no lettering paint. Clean gray faces round out the minimalist design. 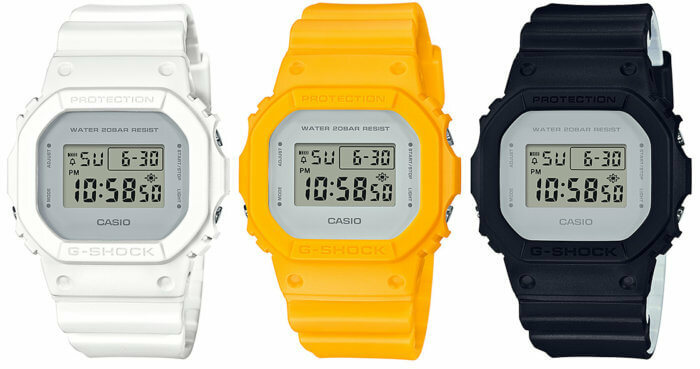 The DW-5600CU-7JF is a matte white and the DW-5600CU-9JF is a marine yellow. 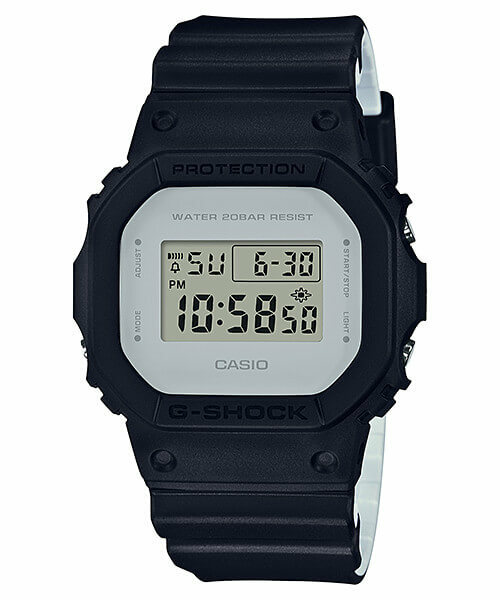 The DW-5600LCU-1JF is matte black with a dual-layer band that has become a popular trend in recent G-Shock releases. The inner layer of the band is white and both layers can be seen from the side of the band. 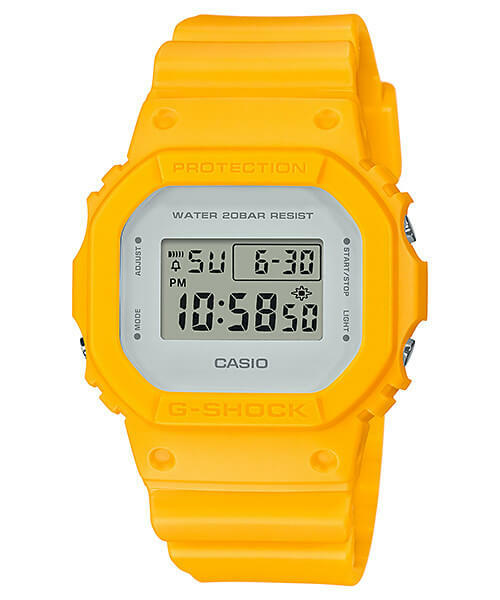 The DW-5600CU and DW-5600LCU models feature 200-meter water resistance, 1/100 second stopwatch (24 hour), countdown timer (24 hour), alarm, full auto calendar, 12/24-hour time mode, EL backlight with afterglow, and sound flash function (alarm, hourly, timer). Update: Casio America announced the DW5600LCU-1, DW5600CU-7, and DW5600CU-9 for a May 2017 release with a list price of $99 each.